Professor Loafman is a native Texan and graduated from Abilene Christian University in 2000, with a BBA in Management, and Texas Tech University in 2003, with a Doctorate of Jurisprudence and MBA. 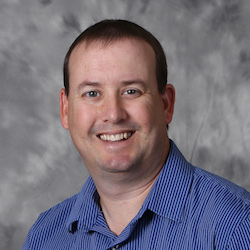 Though rarely taking cases, he has been licensed to practice law in Texas since 2004 and has taught full time in higher education for thirteen years, with ten being at what is now Texas A&M University-Central Texas in Killeen. He is presently a tenured Associate Professor of Management and serves as the first Associate Dean of the College of Business Administration following six years as Chair of the Management and Marketing Department. He will be assuming the role of Interim Dean of the College of Business Administration in September of 2018. To date, he has four peer reviewed journal publications, including one in the prestigious American Business Law Journal. He also presently serves as Vice President of the Employment Law Section of the Academy of Legal Studies in Business.